If you had the choice and neither time nor money were factors, which would you choose: fine dining or fast food? A professionally cooked steak or a microwaved burger? While I crave the occasional french fry or milkshake like any other person, given the choice between the two, I would rather eat a meal of real food than the more convenient alternative. However, I can’t always say the same about my spiritual food. Too often I let fast-food type nuggets of truth pass for quiet time with the Lord. A quick prayer offered here and there. A verse I saw on facebook. Even a well-written, Christ-honoring blog post. Don’t get me wrong, all of these convenient options are good; we should be continually praying and consistently abiding in Him. I know that finding Mary moments in our Martha world is difficult, especially with little ones in the home! Those brief snacks help us to do just that. But which of us mamas would feed our little blessings a steady diet of fast-food only? In the same way, our heavenly Father does not wish to see us settle for a spiritual diet that lacks substance. “Come and dine,” the Master calleth, “Come and dine!” He desires us to drink deeply of the Living Water, not to live by bread alone, but by every word that comes from the mouth of the Lord. He wants to see real growth so that we might experience that abundant life that He planned for us from the beginning. He offers real spiritual food, the kind that satisfies. And don’t we feel the difference, friends? 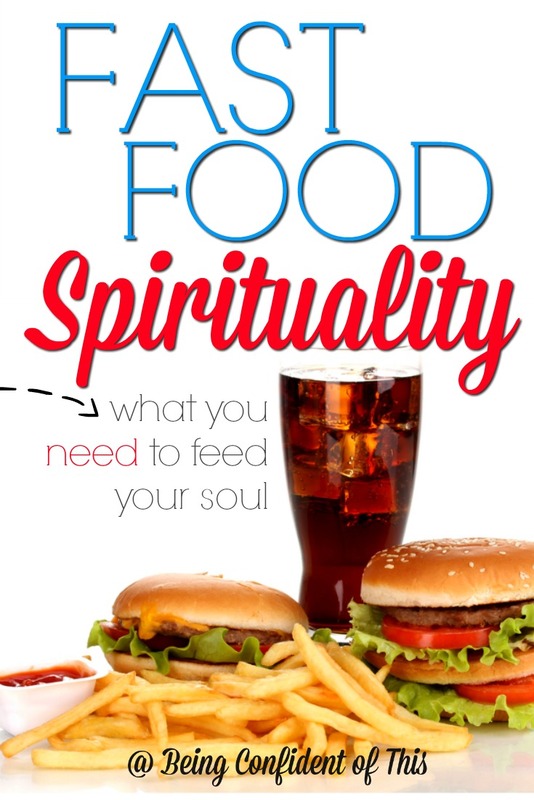 When I snack on spiritual fast food, I might feel okay for a little while. I can check “quiet time” right off of my list. I might even maintain a patient and loving demeanor for a time. But the truth is those little snacks are not enough to carry me through a long day and the next…and the next…and the next. The temptation to substitute the quick, convenient alternative for a real meal eventually leaves me running on empty. And if I carry that pattern out for a few days, that outward facade is sure to slip. I become grouchy, impatient, unloving, and downright selfish. I’m dissatisfied with life. Even my blessings become burdens. On the other hand, when I take the time to really dine with the Lord, I feel so alive, don’t you? His presence provides me with a jolt of energy and grace that lasts a good while longer, and the benefits only multiply if I dine on His spiritual food consistently! What would happen if we quit substituting spiritual snacks for the real deal? Might we experience a deeper walk? Would the fruits of the Spirit come more easily? Would grace reign in our hearts and homes? My goal for the week is to choose the feast consistently, to be steadfast in my pursuit of real spiritual food. I want to be satisfied in Him, not empty. Will you join me, friends? As a mama of four, I know what I’m asking is far from easy! I’ve spent those long days unshowered and unfed. I’ve trudged through those sleep-deprived trenches, just desperate to survive, never mind thriving. And some days, yes, a fast-food option really is the best spiritual food we can manage. But I also know the strength and endurance I need to be the wife and mother the Lord wants me to be cannot be gained from spiritual fast-food alone. the elementary truths of God’s word all over again. You need milk, not solid food! My brothers and sisters in Christ, let’s not be spiritual babes, content to feed on what is easy or convenient. Instead, let’s accept the challenge to dig deeper, to run to the banquet He prepares before us. 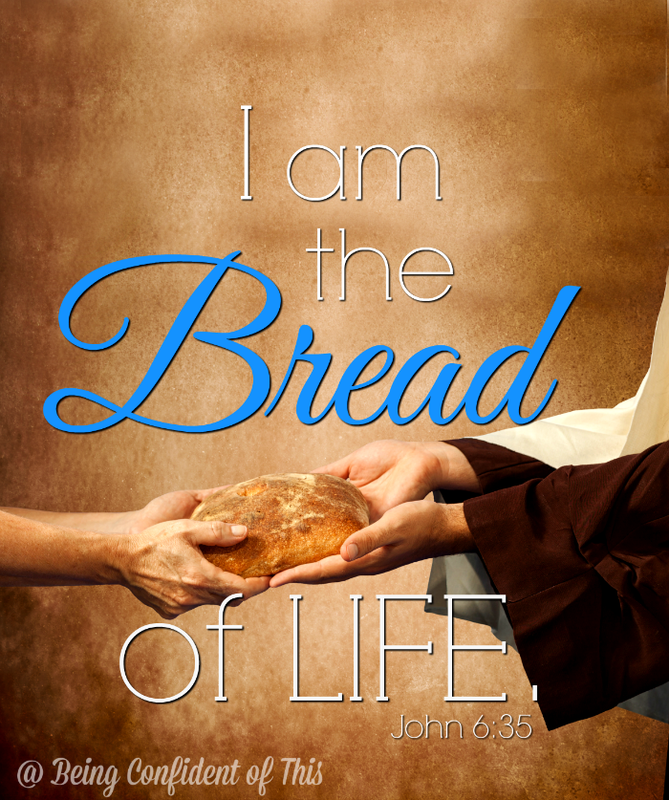 Choose the best spiritual food, the Bread of Life. Will you dine with the Father this week?